JVCKENWOOD Corporation will exhibit at the Consumer Electronics Show (CES) 2019, one of the world’s largest electronics shows, to be held from January 8 (Tue.) to 11 (Fri.), 2019 (local time), in Las Vegas, Nevada, USA. JVCKENWOOD booth will mainly showcase new products from the JVC and KENWOOD brands. Our car electronics exhibits will highlight car AV products and high-resolution dashcams, which support Wireless CarPlayTM and Android AutoTM. 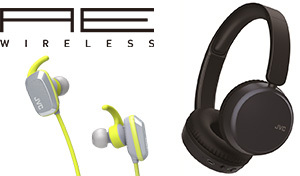 Our AV exhibits will feature new completely wireless headphone products, which support Bluetooth®, and new headphone products with a voice coaching function for improving running performance. 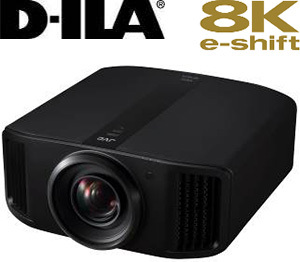 We will also demonstrate 8K D-ILA projectors and introduce CONNECTED CAM lines of professional camcorders, which deliver extensive connectivity and advanced technologies. In addition, a brief demonstration of EXOFIELD out-of-head localization sound field processing technology will be available. 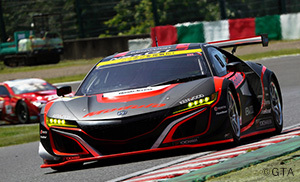 We will also introduce our on-board cameras fitted to cars competing in Super GT, Japan’s top-level racing series, and present a reference exhibit of an on-board camera model, which is under development for launch next season. 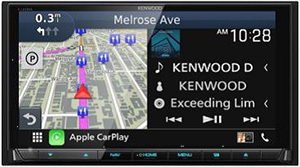 New high-end AV navigation systems equipped with a Garmin navigation engine, which is compatible for wireless connection with Apple CarPlayTM and Android Auto™ for enhanced connectivity with smartphones. A lineup of AV multimedia receivers capable of playing Direct Stream Digital (DSDTM) files for enhanced compatibility with high-resolution sound sources. High-definition dashcams with an advanced driver assistance system capable of connecting to JVCKENWOOD’s AV multimedia receivers. High-end AV receivers, which support Apple CarPlayTM/Android Auto™ via wireless connection, as well as new products supporting Apple CarPlayTM, including a mechaless receiver with a short body for ease of installation. New products geared for the marine motor-sports market, including a marine receiver with a camera input mode and a small waterproof amplifier. We will mainly showcase our lineup of new Bluetooth®-enabled models of headphones, which are becoming increasingly popular. Displayed will be a family of products suitable for use in various situations, ranging from completely wireless models that allow users to enjoy music without worrying about cables and models with a voice coaching function for improving running performance to models with noise-cancelling technology that filters out ambient noise. We will showcase a new lineup of JVC D-ILA home theater projectors, including the DLA-NX9, which is equipped with JVC’s unique 8K/e-shift technology. It is the world’s first home theater projector to deliver high-definition 8K image resolution (8192 x 4320 pixels). A demonstration of high-definition 8K image projection will be available at a separate venue (Venetian Tower). We will showcase GYHC500/HC550 handheld 4K memory card camcorders, which are our new CONNECTED CAM models of professional camcorders featuring extensive connectivity and advanced technologies required for IoT devices. We will propose next-generation solutions that cut cost, time, and labor by delivering extensive connectivity and advanced technologies required for IoT devices, while providing the high definition and quality required by video creation solutions. EXOFIELD is our unique sound processing technology, which makes it possible to measure and analyze the personal characteristics of individual users, such as the shapes of their ears and faces, as well as the acoustic characteristics of their audio speakers and listening rooms to perform audio signal processing that is optimally customized to individual users, delivered through out-of-head localization of sound images. Unlike conventional headphones with in-head localization of sound images, it enables reproduction of a sound field and localization of sound images achieved in a typical speaker listening experience even with headphones. 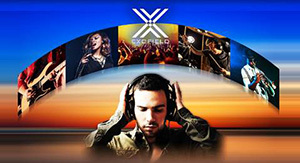 This time we will exhibit technology used in the latest version of EXOFIELD, which supports multi-channel audio, and provide a brief trial listening demonstration based on simplified measurements.